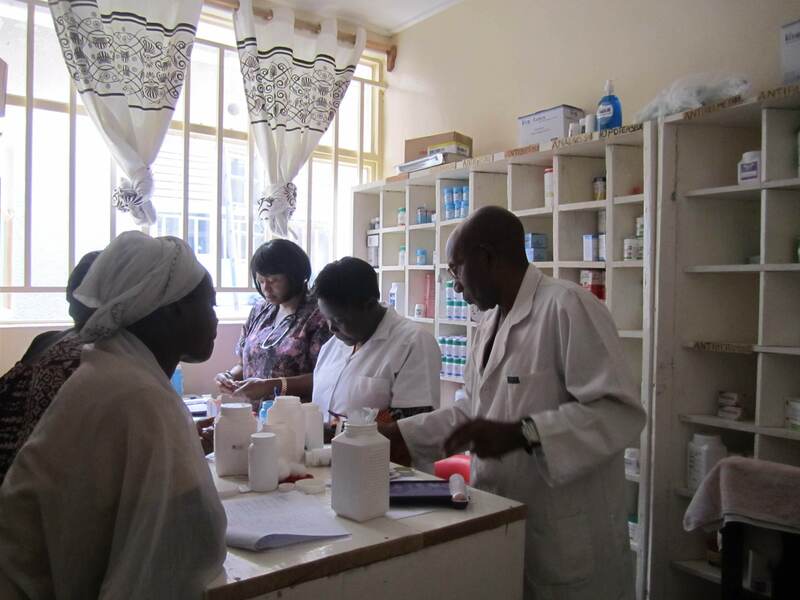 Staff at Jericho Road Wellness Clinic in Goma, Democratic Republic of Congo, continue to serve patients, despite regional turmoil. A deadly Ebola outbreak, compounded by political upheaval and armed conflict, roils daily life in the Democratic Republic of Congo. But for staff at the Jericho Road Wellness Clinic in Goma, that chaotic backdrop hasn’t kept them from keeping one thing at the forefront: their patients. The health center is operating as normal, despite election turmoil and an Ebola outbreak, the epicenter of which is about 120 miles from the clinic’s front doors. The clinic’s patients — many of whom are pregnant women and children facing intractable poverty — are among Goma’s most vulnerable residents. “These people are often the ones who suffer the brunt of war and political unrest,” said Dr. Myron Glick, founder and CEO of Jericho Road Community Health Center. In December, Goma clinic staff were busy, watching over 61 births, 17 of which required c-sections, attending 162 prenatal appointments and managing a feeding program for 166 children. “One of the major challenges in the DRC is that most health care is not free, even for the poorest and most vulnerable,” Glick said, adding that pregnant women and children aren’t able to access care when they need it. Those delays can have devastating consequences, and can explain the high incidence of obstetric fistula seen in eastern Congo. The Wellness Clinic is providing a vital service to women traveling through the clinic’s doors to deliver their babies. “In the midst of this upheaval, Direct Relief is continuing to be a major help to our work in Goma,” Glick said. Last week, a shipment of essential medications, including blood-pressure medications and prenatal vitamins, arrived at the clinic to support ongoing patient care. Direct Relief has supported Jericho Road’s Clinics in the Democratic Republic of Congo, Sierra Leone and Buffalo, New York with $13.9 million in medical aid since 2015. Jericho Road staff are also laboring under the threat of the second largest Ebola outbreak in history. As of Jan. 14, 385 people have perished in the outbreak that began six months ago. More than 600 people have been infected with the disease, and the death rate is more than 60 percent, according to the World Health Organization. Containing the highly infectious disease has been complicated further by political instability. Armed groups and localized violence have limited the ability of responders to control the outbreak. “Despite a determined international medical community and Congolese Health Ministry response, including the vaccination of over 58,000 local people, new cases continue to be diagnosed every day,” Glick said. The country, which has never experienced a peaceful transfer of power, is also in the midst of a turbulent election cycle, and a government-imposed information blackout has kept internet, radio broadcasting and cell phone service down for three weeks. Just to confirm that the medical shipment from Direct Relief arrived, Jericho Road staff reported crossing the border into Rwanda, where email could be accessed. Glick said he and his staff are praying the outbreak will be contained and that no cases will be diagnosed in a city as large as Goma. That’s where more than 1 million people live and an outbreak would have “disastrous” consequences. The Wellness Clinic screens every person who enters first for Ebola, “and thanks to Direct Relief, our team has plenty of personal protective equipment if ever needed,” Glick said.